7amleh Center has trained 15 trainers with background in IT and guiding groups on individual and organizational digital security, auditing and data assessment, and how to combat the phenomenon of gender-based violence (GBV) online. 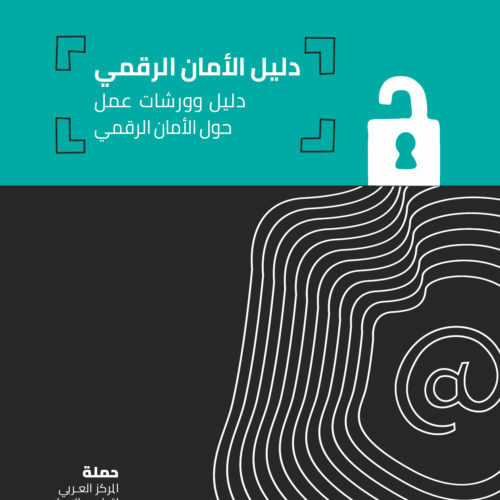 7amleh – the Arab Center for the Advancement of Social Media concluded the digital security project 2018 for its second year in a row. 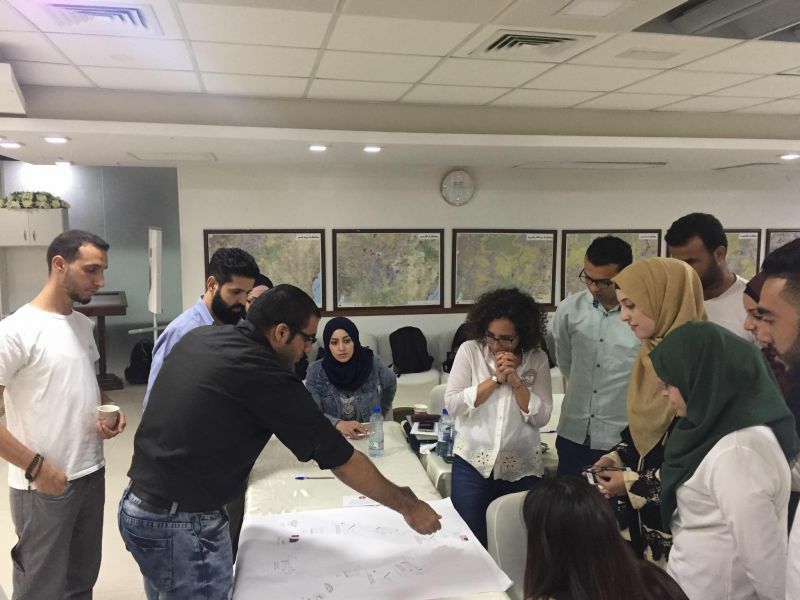 After the training and qualification of a group of 15 experienced trainers they gave digital security workshops to youth groups, school students, university students, activists and civil society organizations in all areas of historic Palestine. 7amleh’s pool of digital security trainers gave more than 70 workshops to about 1500 participants in more than 20 towns and villages in historic Palestine including Jerusalem, Ramallah, Hebron, Bethlehem, Nablus, Jenin, Tulkarm, Haifa, Galilee, Marj Ibn Amer and Gaza. Workshops covered a wide variety of subjects relating to individual and organisational digital security such as privacy, data, how the internet works, smartphone privacy, social media networks privacy, freedom of expression, prevention of gender-based violence (GBV) online and how to deal with victims of online harassment and violence. 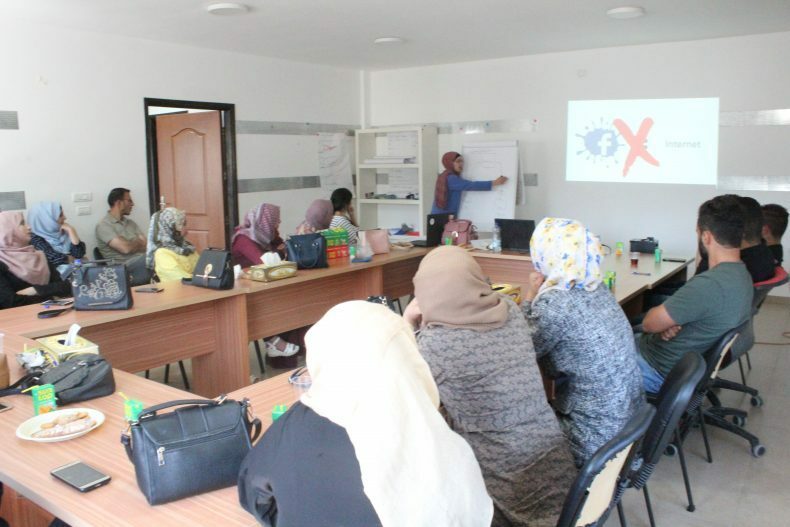 This year, 7amleh Center cooperated with several Palestinian organisations to hold workshops and raise awareness on issues surrounding digital security and GBV online. More than 10 workshops were held in different areas in Jerusalem in cooperation with PalVision, and 8 consecutive workshops were held for a group of 17 female students at Schmitts’ School focusing on the phenomena and prevention of GBV online. Additionally to these workshops, 7amleh’s pool of digital security trainers, together with the expert trainer Sobhi Khatib, developed a manual and a series of workshops in an intensive training session on GBV online, and how to best teach workshops on this issue. The Digital Security Project this year furthermore focused on raising awareness through a series of study days organized in Taibeyh city in cooperation with Tishreen Association, at Bethlehem University in cooperation with the Information Department and at the Arab American University in Jenin. Panel-discussions focused on digital security and Palestinian youth, the effect of social media activity in the Palestinian context, and workshops on digital security, digital marketing and crowdfunding. 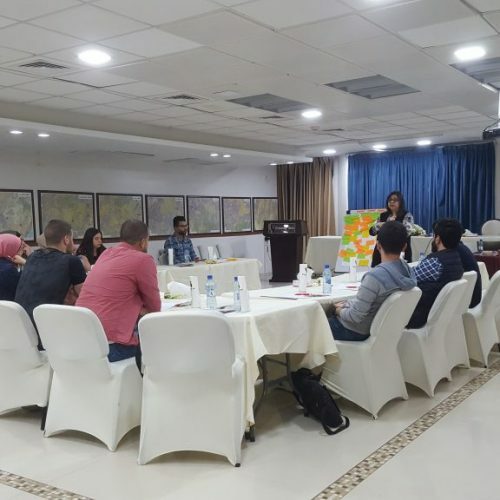 Finally, trainers of the Digital Security Project worked together with staff of Palestinian civil society organizations and trained them on topics such as human rights, accountability and advocacy. The aim of these trainings was to assess the institutional digital security and information systems, and to enable staff to protect their digital systems and work more wisely and effectively to avoid threats that might arise.